Bankruptcy and property: what do you get to keep? When a bankruptcy is filed, the debtor can keep anything that is â€œexempt.â€ That always includes household goods and personal effects, and, most of the time, provides a homestead exemption that protects the debtorâ€™s home. But why? Actually, bankruptcy exemptions are absolutely necessary to a fair and forgiving economic system. 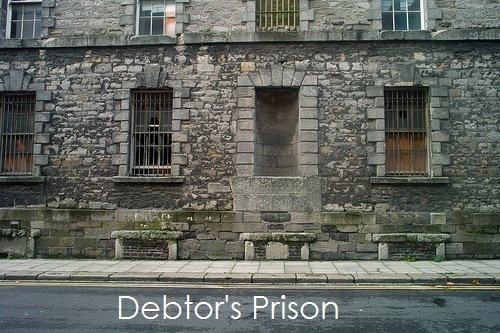 If filing bankruptcy meant losing everything, all we would accomplish would be to create a community of destitute, starving people who would have to live off of welfare or government aid unless we sentenced them to a Dickensâ€™ debtorâ€™s prison! Further, studies show that the more liberal the bankruptcy exemptions, the greater the stateâ€™s economic growth. States with generous exemptions, like Texas and Florida, attract more entrepreneurs and businesses. The owners know that if their business should collapse, they can file bankruptcy and wonâ€™t become completely destitute. Determining which set of exemptions to use, however, can be a little frustrating. Under current law, you can use the exemptions of the state where you are domiciled; if you have lived there for 730 days (two years). If not, you have to use the exemptions of the state you lived in for the 180 days before the last 730. And if there is no state that meets those criteria, then you use the exemptions of the state you lived in for the longest portion of that 180 day period. Clear? Filing bankruptcy is traumatic enough without taking the chance that you could be giving up more property than you legally need to. Find a competent bankruptcy attorney to help.